Interested in working abroad? Whether you had the opportunity to study abroad and loved it, or did not get the chance and still want to experience life in another country, finding work in a foreign country can be quite daunting. Without the right connections, it may seem impossible to get jobs here in the states, let alone abroad, where the odds of having a connection at all are slim. Nonetheless, a Bentley degree can take you anywhere! Using GoinGlobal, you can find worldwide opportunities for both jobs and internships in 196 countries, making a professional adventure abroad completely possible! GoinGlobal is an easy-to-use search engine for jobs across all continents where you can search by job title, country, city, and more! You may have to pull up Google Translate to change the occupation you’re looking for into the native language of the country you are targeting, but that’s the hardest part! From there, hundreds of search results come up instantly, even for the rarest fields of study. 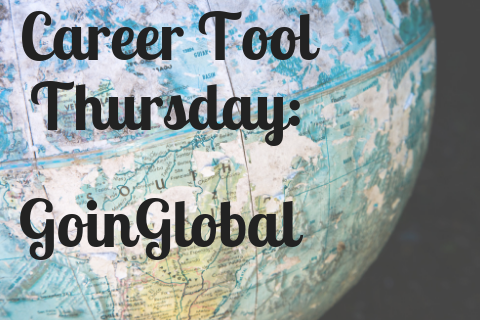 For more information and other tools to help in the job hunt, check out Career Services Resources tab, where you can find not only GoinGlobal, but many other helpful websites in landing your dream job! *Please note: If you’re on campus, you can access it through the Bentley account by clicking on the link on the CareerEdge resources page, but if you’re off campus you will need to create a free account in order to access the information. If you try to access GoinGlobal through any other means, you will be asked to pay for a subscription, so be sure to use the CareerEdge link!